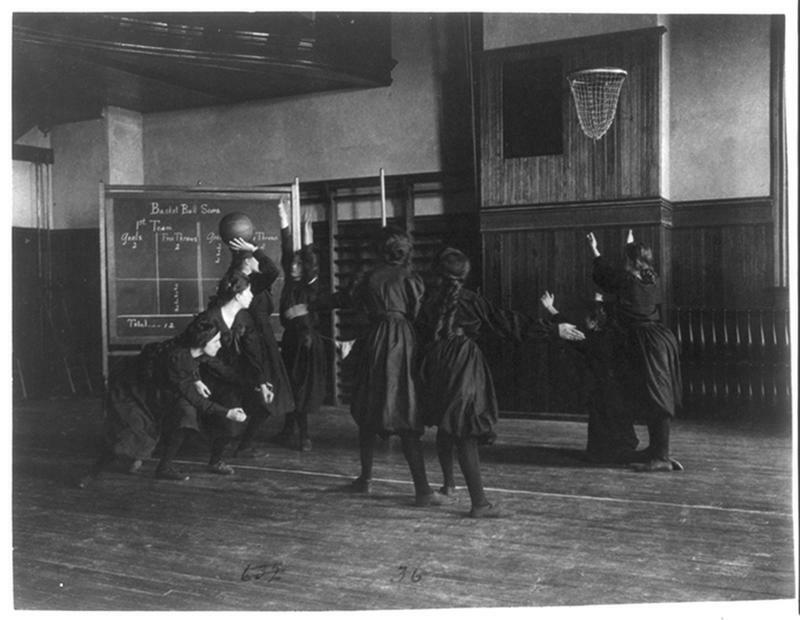 Here's another collection of random photos from history. Enjoy! 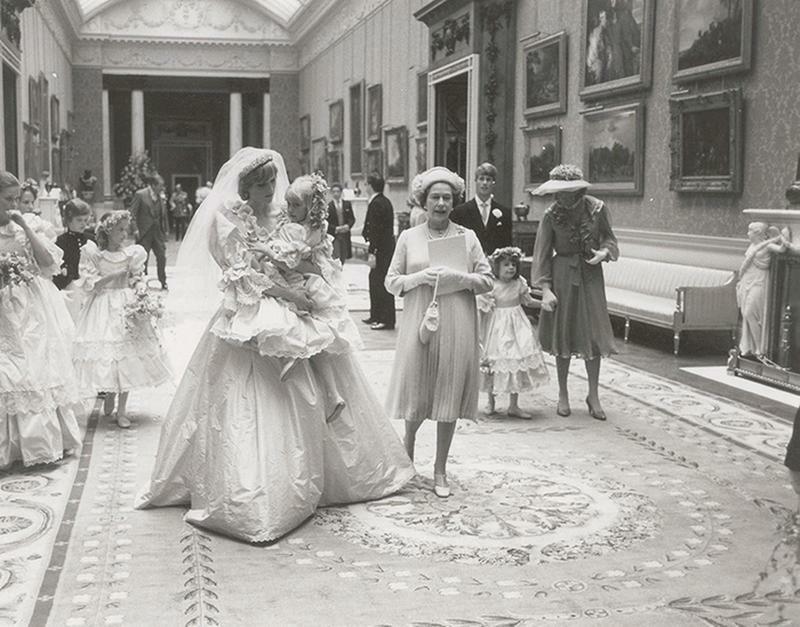 Princess Diana, holding her youngest bridesmaid on her wedding day. 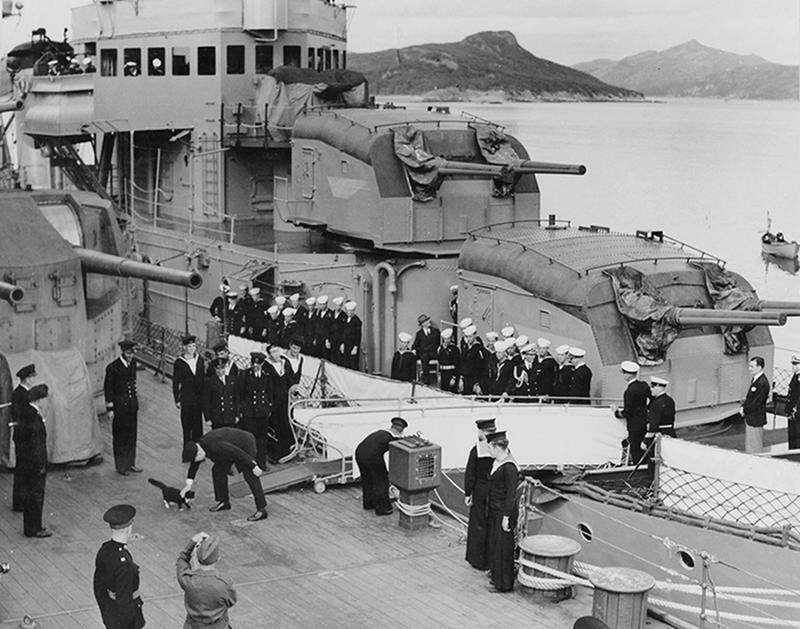 British Prime Minister Winston Churchill stroking Blackie, the cat aboard the HMS Prince of Wales battleship. 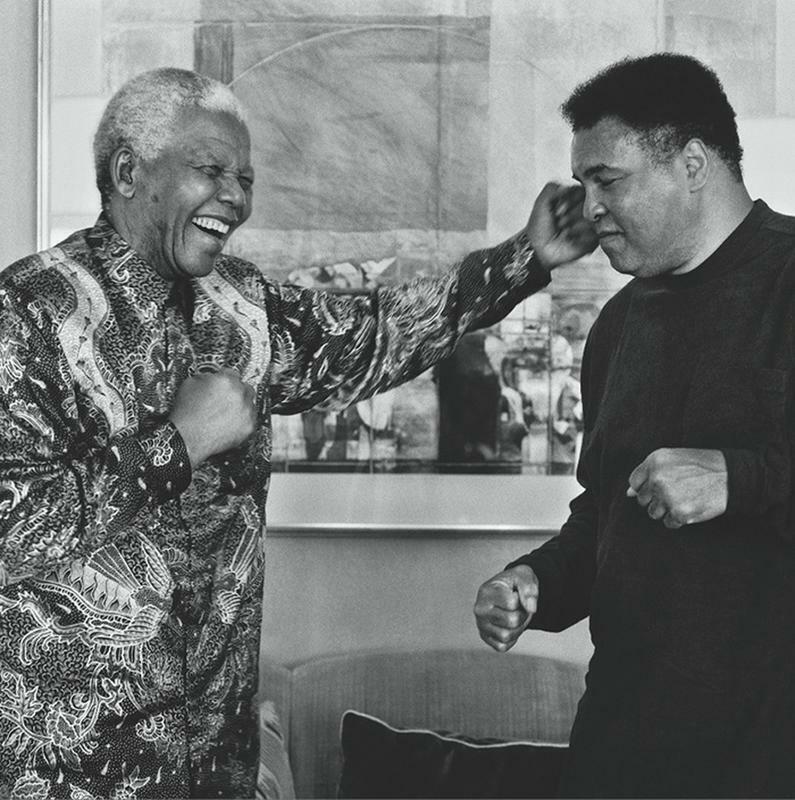 Muhammad Ali shapes up with Nelson Mandela at the Special Olympics in 2003. 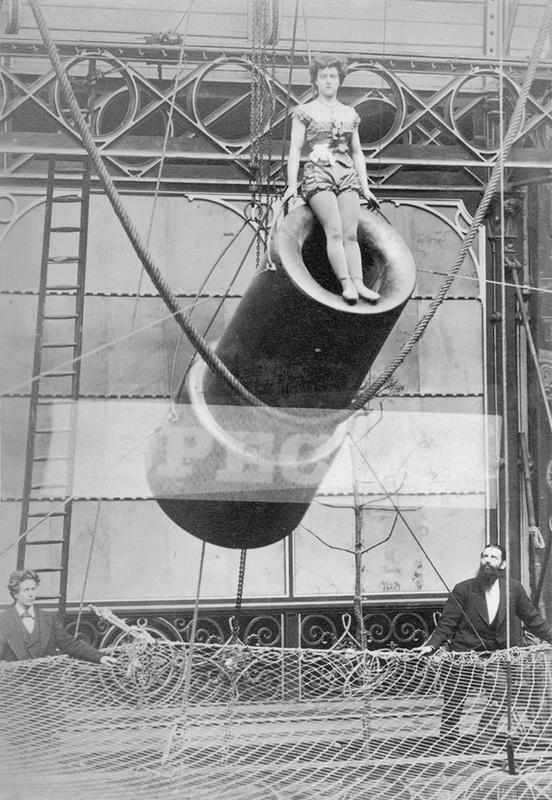 Zazel, the first human cannonball. He launched in 1877. 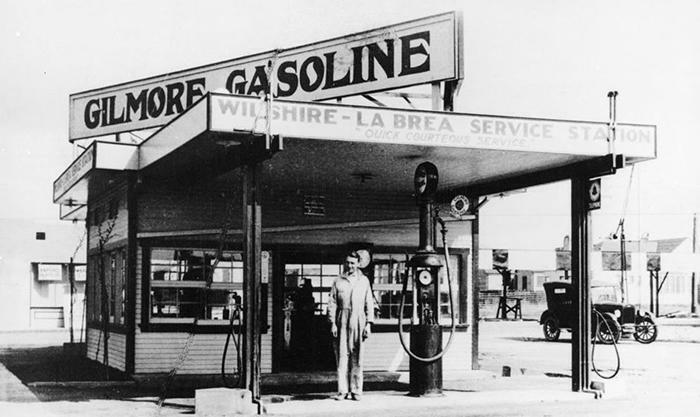 The Gilmore Gas Station, one of the very first gas stations in Los Angeles. 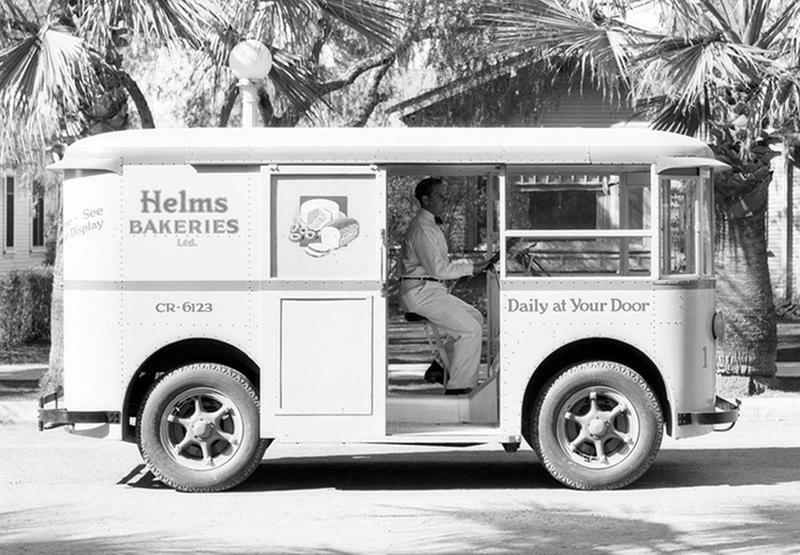 Students playing basketball in a gymnasium in Western High School, Washington D.C.
Helms Bakery trucks, which used to deliver fresh baked goods to residents of Southern California. 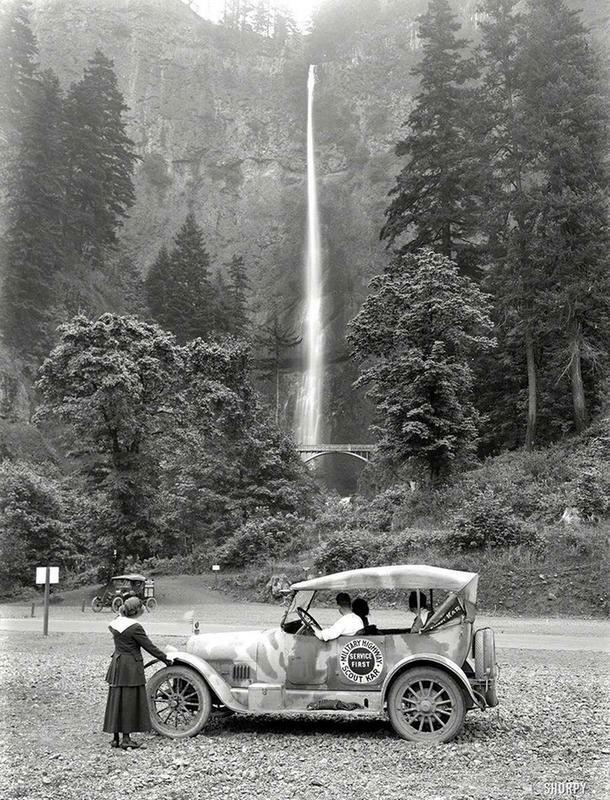 Multnomah Falls Oregon in 1918. 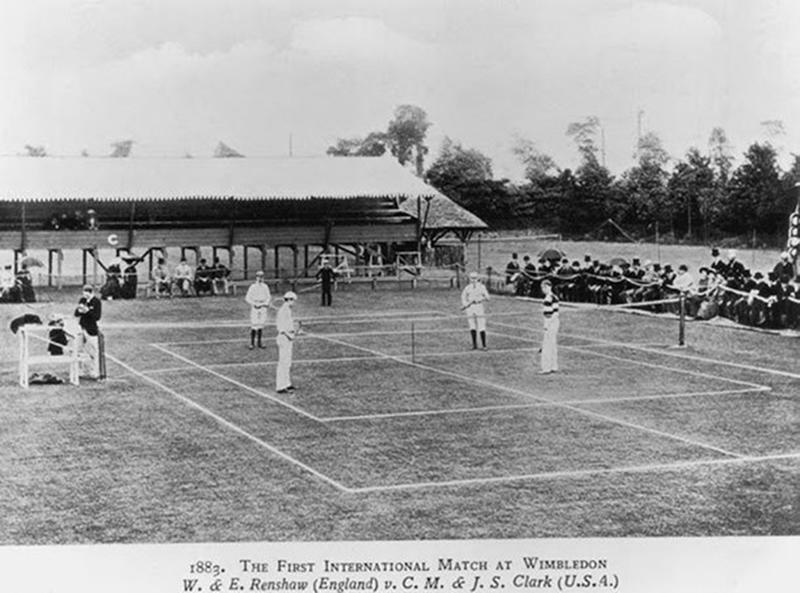 The first International match at Wimbledon in 1883. 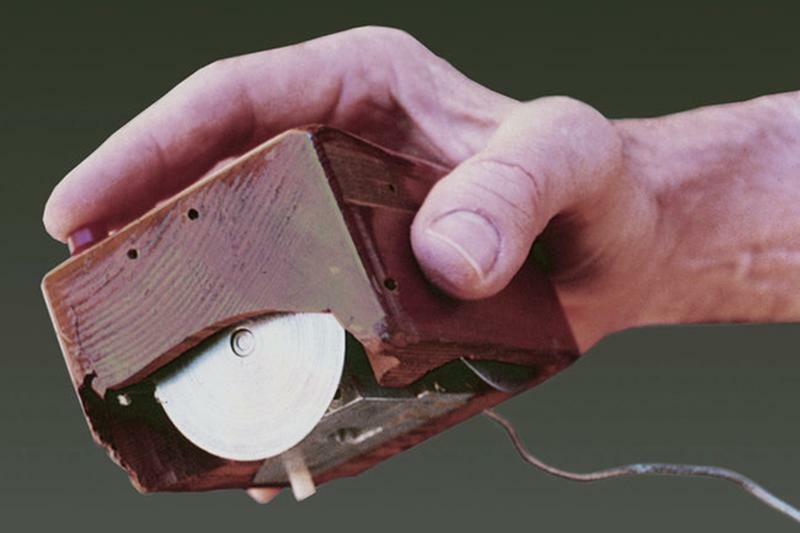 The first computer mouse, patented by Douglas Engelbart in 1968. 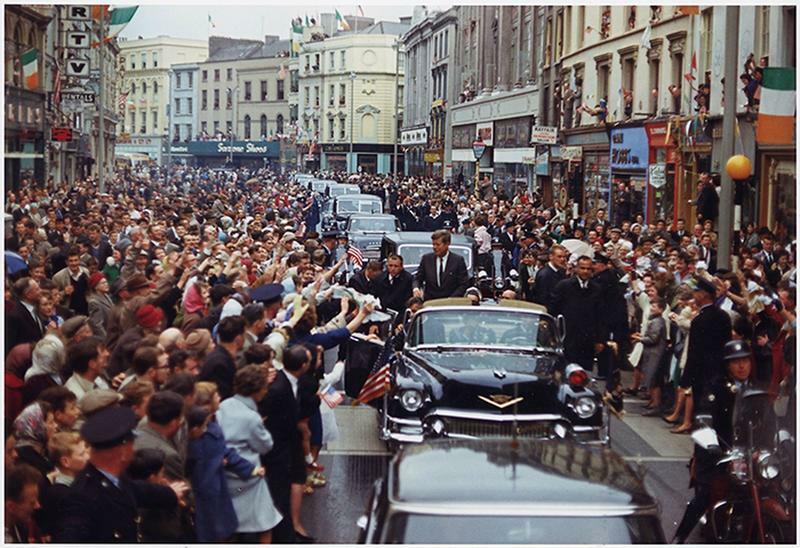 President John F. Kennedy on a visit to Cork, Ireland. 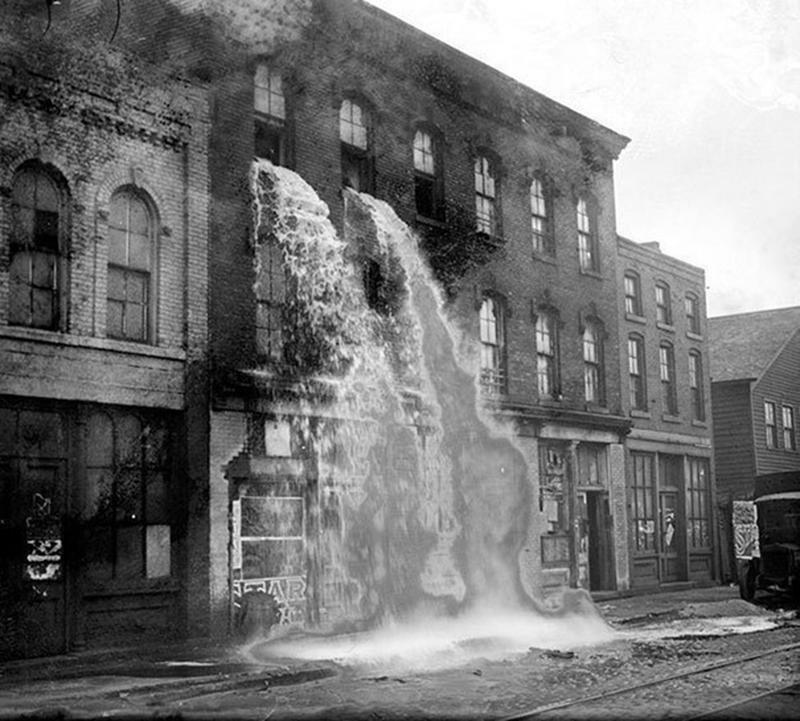 Alcohol being poured out during Prohibition in 1929. 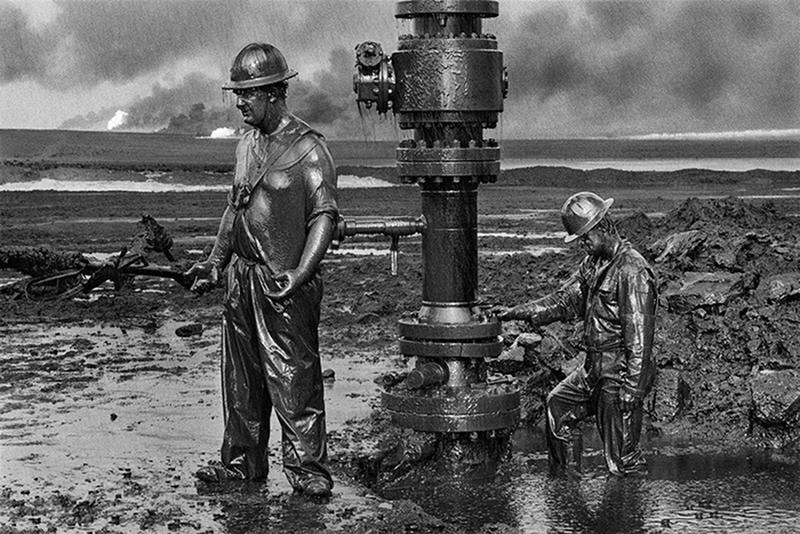 Canadian firefighters battle to seal an oil well in Kuwait during the Gulf War. 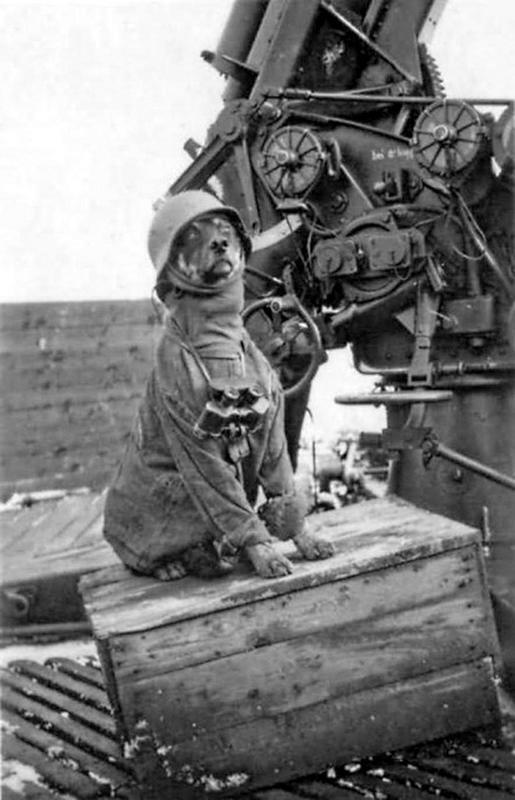 A German dog dressed up to look like an aircraft spotter during World War II. 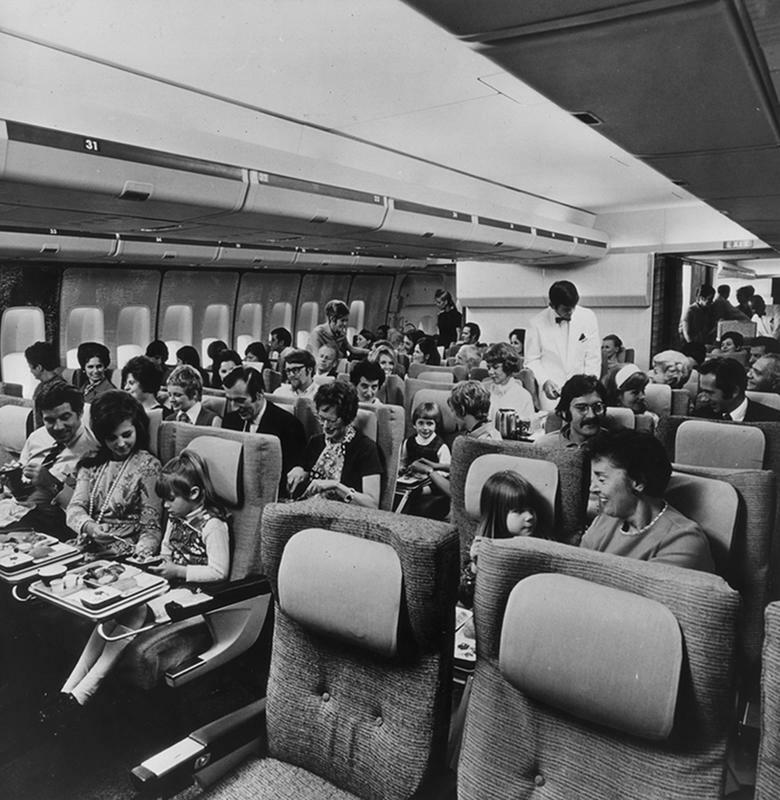 What economy class looked like in 1970. 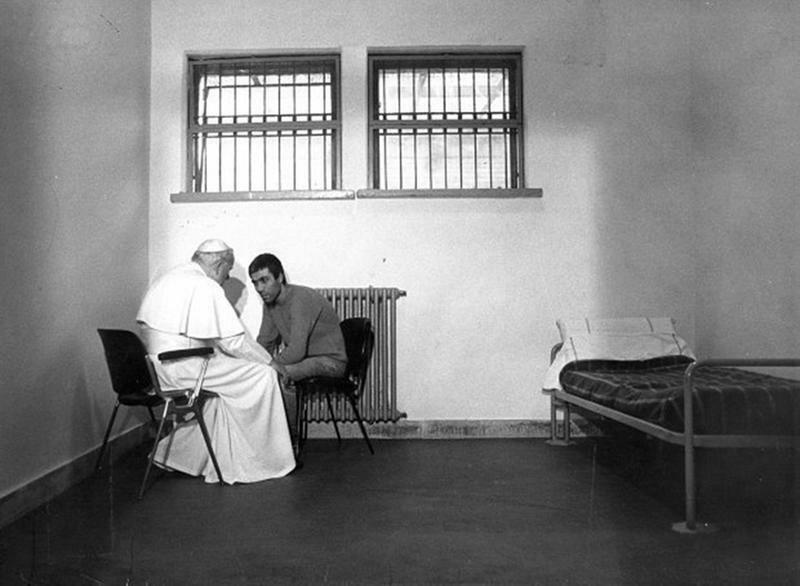 Pope Saint John Paul II meets with Mehmet Agca, the man who attempted to assassinate him. 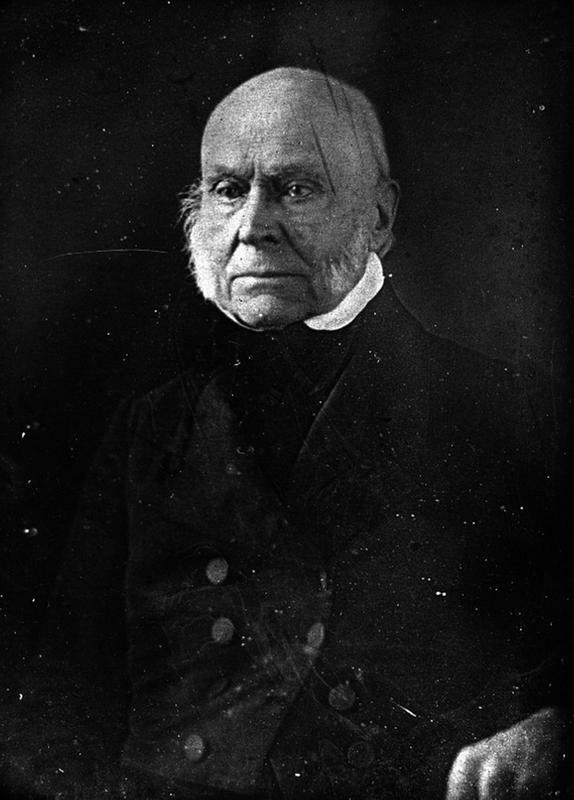 John Quincy Adams, the earliest president to be photographed. 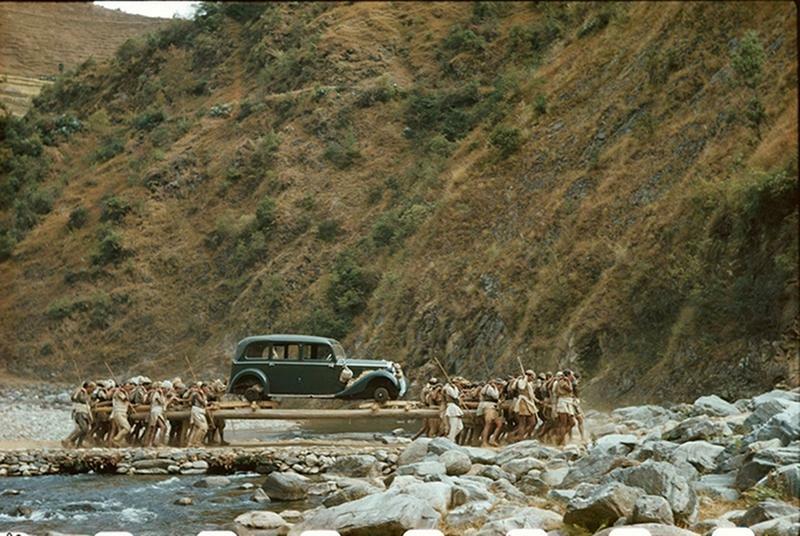 Nepali men carrying the 1938 Mercedes Benz that Adolf Hitler gave to King Truibhuvan of Nepal. The car had to be carried, as there were no roads to drive it on.